Some more 'empty bin' projects. Both very simple and visually striking, I think! For the birthday card, I used a Technique Tuesday set with all the handwritten words and snipped up an old Papertrey sentiment that said "Wishing you a day as special as you are". 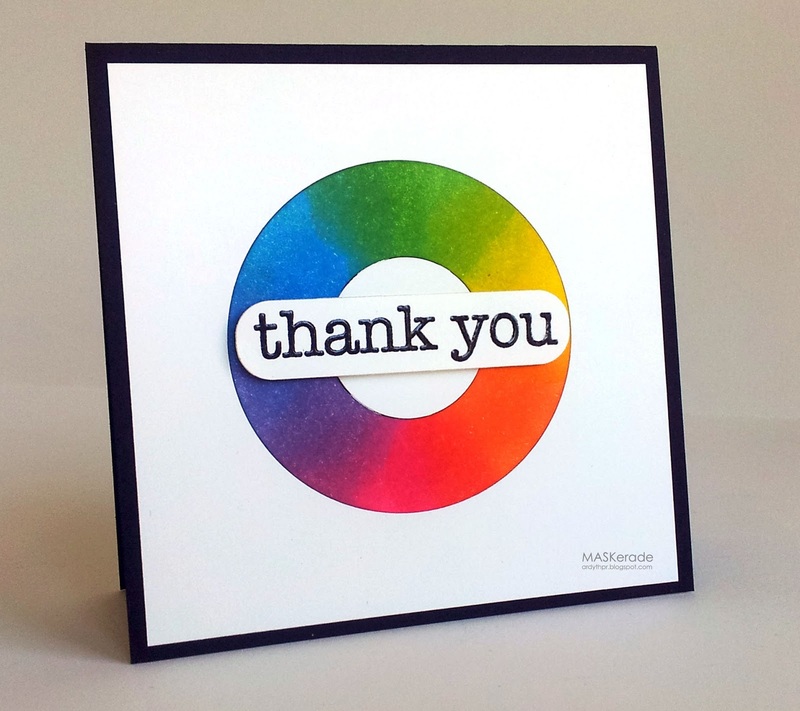 For this thank you card, I used two circle nestabilities to cut a ring out of the white panel and then sponged it and placed it back in (couldn't decide if it was easier or harder than masking! lol!) I added a Hero Arts sentiment cut with a Papertrey label die. I call this the rainbow ipod card. For this card I used MFT's monogram alpha and a flower snipped off of a Michael's thank you stamp to fill up the space (for my English one, thanks went right across the card). 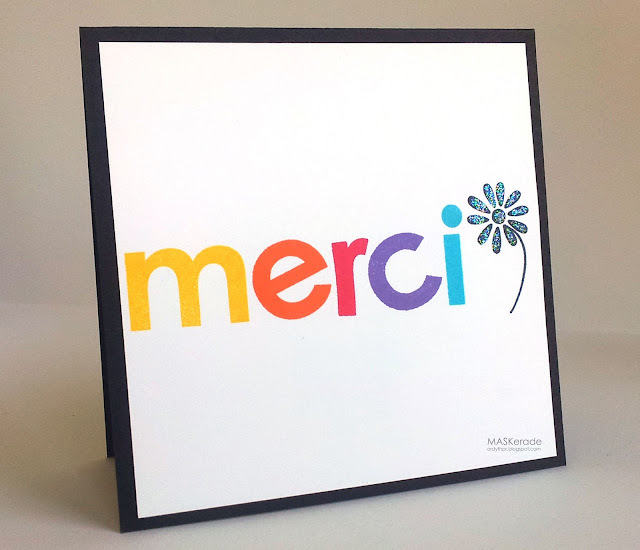 I've made a ton of thank you cards in the last few days - I'll try not to overload you and show you only the ones I think are new and fun! They're all so gorgeous, but I particularly LOVE the first one - definitely a design you'd see in a high end stationary store somewhere!! Your eye for color amazes me. Your cards are all fabulous. Love the iPod thank you!! Rainbow heaven! Love them all! Ardyth this is amazing, you have officially enabled me. Think I need to get these handwritten sentiments. It is always a delight to come by and see what you've been creating, Ardy! Your cards (usually include a rainbow or colors, and who doesn't love a rainbow?) are always bright delights that bring a smile to your readers!! What a wonderful trip of festive rainbow cards. Each one is so fun and sure to bring a smile to who ever you send it too. Just so fun! Your cards are all fabulous, awesome, wonderful . . . (you get the picture). Wow! 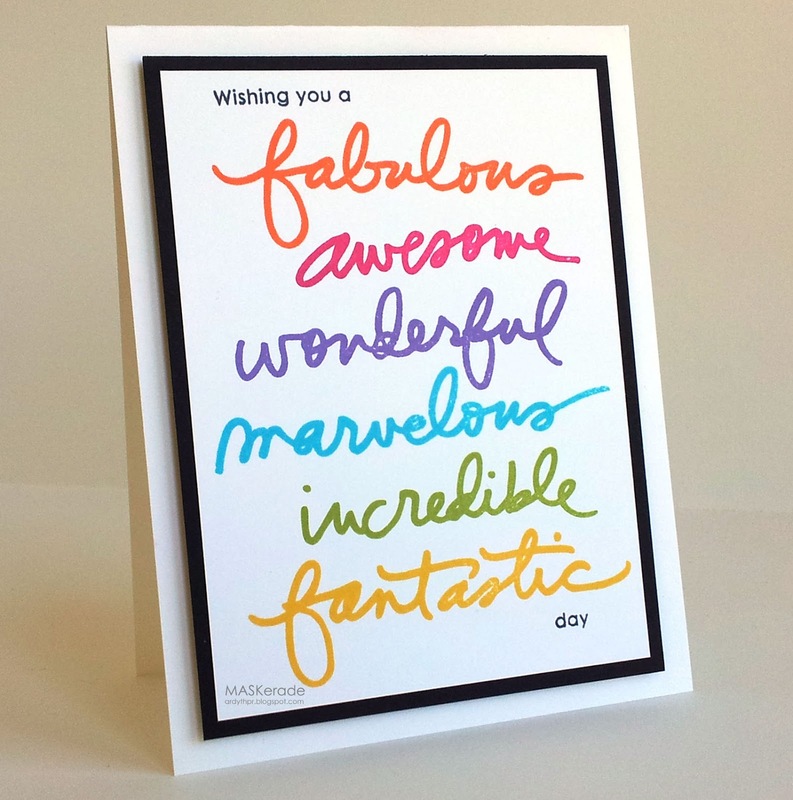 Truly a delightful array of beautiful color, perfectly stamped and brilliantly designed! Each is so simple yet absolutely breath-taking. I've already run out and purchased the first set because I am going to have to CASE you! So much rainbow goodness! I'm especially loving the sponged rainbow circle. You have so many beautiful creations! I want to share another image on Trendy Tuesday for Papercrafters Library from this post as well. Let me know if don't want to be featured. I really am a big fan of yours! What awesome cards, Ardyth! So cheery!